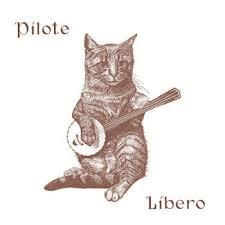 Producer Stuart Cullen is Pilote and this is his 7th album of self penned ditties and tasteful covers all filtered through a folky country prism with plenty of waltztime melodies as well as banjos, harmoniums, fiddles and even spoons. It is, as expected, beautifully produced with some nifty touches – the electronica insert in Train on the Island and the rumbling back beat on Baby is a Hybrid which gives it a 70’s Moroder vibe despite the blue grass banjo and fuzzed guitar. As the album progresses it moves away from the traditional vibe, becoming more adventurous with the structures and stylings of the songs. The turning point in the album is the aforementioned Baby is a Hybrid and The 45 takes it further pushing the vocals through effects and doubling it up over a wild electro beat that would not disappoint in a Soft cell set despite its old school syth styling. Compelling evidence of the ability of the producer as a songwriter and producer. Hog Farm Blues carries this even further with its spoken word intro leading onto a bizarre lament about killing pigs. Zetterling’s Ghost is the penultimate track – a torch song of sorts with vocals front and centre over a the sparse break beats and raggedy banjo waltz. This is an album worthy of investigation – there’s a lot going on – much of it compelling!